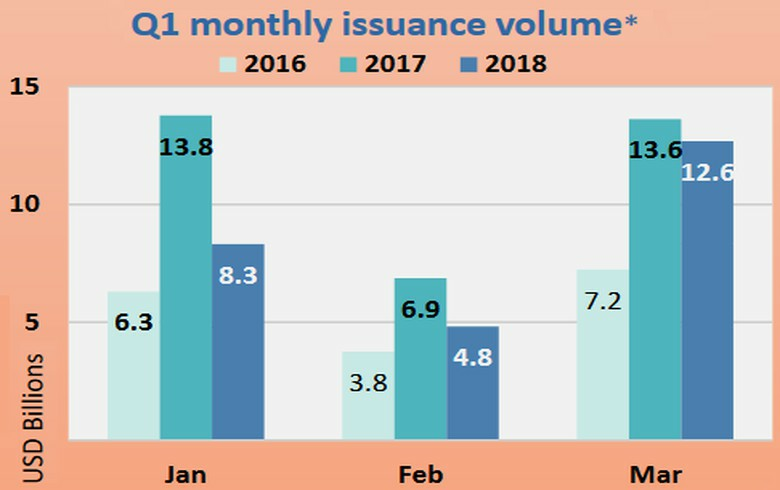 Q1 monthly issuance volume in 2016, 2017, 2018. 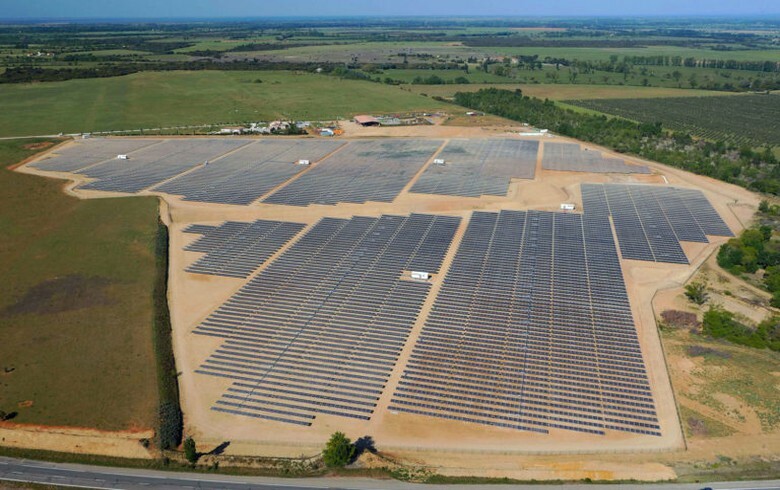 April 10 (Renewables Now) - The Climate Bonds Initiative (CBI) revised the 2017 green bond issuance total to USD 160.8 billion (EUR 131bn), up from USD 155.5 billion previously reported, and said the preliminary figure for the first quarter (Q1) of 2018 stands at USD 25.8 billion. Below are Q1 highlights by the not-for-profit organisation, while its report for the period can be downloaded here. Green bond issuance kept a good pace in 2018’s first quarter with 71 green bonds coming from 52 issuers, with preliminary figures reaching USD 25.8 billion. USD 17.4 billion were issued in developed markets, with a third of the volume coming from two Belgian deals: Belgium’s sovereign Green OLO and logistics company WDP’s green bond. Belgium, France and China led the issuance by country table. Issuance from emerging markets (including supra-nationals) is increasing, representing 32% of quarterly issuance compared to just 15% in Q1 2017. Sovereigns played a central role this quarter, accounting for approximately a third of issuance in both developed and emerging markets. This trend is set to continue in the coming quarters. The Q1 league table shows JP Morgan, BNP Paribas and ING in the top three spots, with ING appearing on the podium for the first time! Q1 has shown that 2018 is off to a good start. With big green finance events in the pipeline and the launch of the Green Bond Pledge, there is plenty of opportunity to double the market yearly and meet the imperative USD 1 trillion by 2020 milestone. The enthusiasm and appetite witnessed at our 2018 Annual Conference last month, along with the increase of sovereign issuance from both developed and emerging economies, make the USD 300 billion target seem well within our reach. Sean Kidney is CEO of the Climate Bonds Initiative, an investor-focused NGO working to mobilise debt capital markets for climate solutions. Projects include a green bond definitions and certification scheme, and work with the Chinese Government on how to grow green bonds in China.